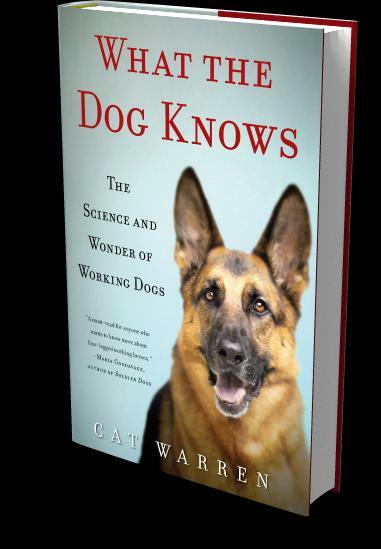 What the Dog Knows, The Science and Wonder of Working Dogs by Cat Warren (broadcast 11-25-2013) Cat Warren is a university professor and former journalist with an admittedly odd hobby: She and her German shepherd have spent the last seven years searching for the dead. Solo is a cadaver dog. What started as a way to harness Solo’s unruly energy and enthusiasm soon became a calling that introduced her to the hidden and fascinating universe of working dogs, their handlers, and their trainers. Training and searching with Solo led her into the world of cadaver dogs, drug and bomb detecting K9s, tracking and apprehension dogs—even dogs who can locate unmarked graves of Civil War soldiers and help find drowning victims more than 200 feet below the surface of a lake. Magical or mysterious, Warren spins a fascinating tale of multifaceted science, rigorous training, and the skilled handling that underlie the amazing abilities of dogs who work with their noses. Along the way, she shares story after story that proves the remarkable capabilities—as well as the very real limits—of working dogs, the bonding between the dogs and their handlers and how this partnership is woven into the fabric of society. This entry was posted in Uncategorized and tagged apprehension dogs, cadaver dogs, Cat Warren, dog training, drug and bomb detecting K9s, German Shepherds, What the Dog Knows The Science and Wonder of Working Dogs. Bookmark the permalink.